Bruker has announced the release of an updated and enhanced Wine-Profiling module for the Nuclear Magnetic Resonance (NMR) FoodScreener platform. The update was developed and validated together with Bruker’s wine analysis consortium partners, the Eurofins Scientific Group (Brussels, Belgium) and WineSpin-Analytics & Co. (Aspisheim, Germany), as well as further partners from the wine industry and the field of wine research. The new 3.1 release fulfills market needs for an improved coverage of white wines in the three most recent vintages and for better coverage of certain regions, appellations, and grape varieties. Wine-Profiling by NMR combines quality control and testing of authenticity in a unique way. The new module, now based on 19,000 reference samples (an increase of 46% from version 3.0), delivers easy and cost-efficient analysis for quality and authenticity of samples regarding origin, variety, and the addition of water. The new module also now adds verification of geographical origin by country for white (Austria, France, Germany, Italy, Spain) and red wines (Chile); verification of special regions such as Bourgogne (red, white), Languedoc (red), Rhone (red) and Loire (red); and verification of certain appellations including Chablis (France) and Valpolicella (Italy), as well as one new grape variety Verdejo (Spain). Manager of the Eurofins Authenticity Competence Center Eric Jamin commented: "Food and drink authenticity and adulteration have taken on a new level of importance with consumers and producers in recent years, with even the US Food and Drug Administration (FDA) now taking measures to ensure wine quality. "Eurofins is excited to begin using the FoodScreener for wine-profiling and ensure that wine industry quality standards are maintained. This is essential as quality and safety issues are of particular importance, as well as guaranteeing origin and authenticity." 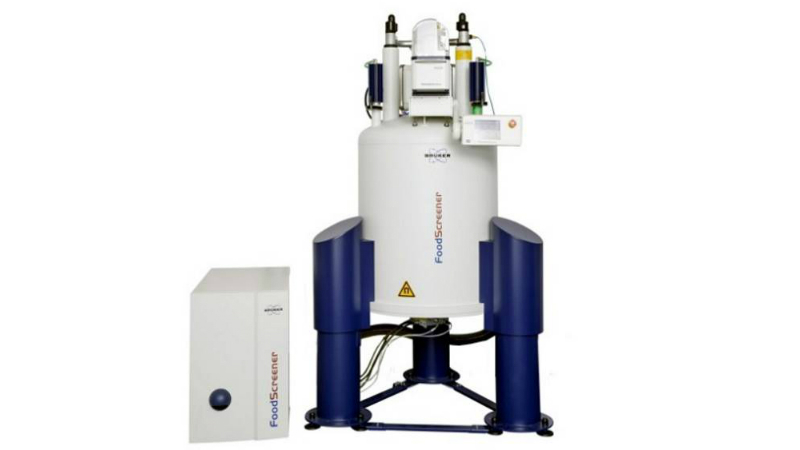 The analysis of wine using NMR spectroscopy is an innovative solution. The principle of the method relies on the acquisition of the spectroscopic fingerprint specific to each individual sample. These metabolic profiles are compared to a large database of authentic wine samples using a multivariate statistical approach. This high-throughput technique provides a wide range of information, which is both targeted (quantification of defined substances) and non-targeted (identifying deviations from reference spectra). Market manager for food, feed, and beverage at the Bruker BioSpin Group Thomas Bocher commented: "We are really excited to bring this new and enhanced version to market, in collaboration with international experts and wine producers. "Every year consumers are confronted with food scandals, damaging public trust in the integrity of food supply chains. Food quality and safety are important issues for manufacturers, retailers, government control agencies and consumer protection organisations. "Our wine-profiling module 3.1 has improvements across the board from all existing models and addresses the need for improved coverage of white wines in the three most recent vintage years, as well as better coverage of certain regions, appellations, and grape varieties. Our solution provides a unique advantage for our customers in the wine industry."